In this essay excerpt, Professor Emeritus John Y. Wong from The University of Sydney takes us on a lightning-fast trip through the history of relations between China and Australia. The full essay will be published in the program for Kryptonite, available for purchase at the theatre. Australia’s informal relations with China began in earnest during the gold rush era. In order to beat immigration restrictions, Chinese prospectors landed wherever they could and walked cross-country, however far, to gold-rich destinations, typically Victoria. 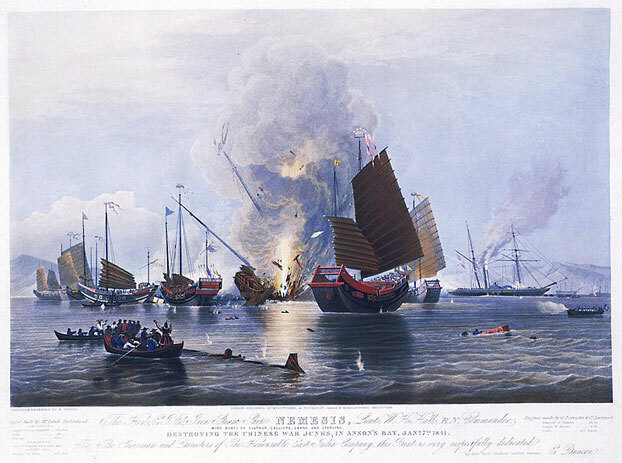 More came after emigration had been legalised by Britain’s waging of the Second Opium War (1856-1860). Labour was badly needed in British colonies, including Australia – tradesmen like carpenters and, to clear the bush, cheap workers.1 Migration numbers were further boosted by the turmoil that had been ignited by the First Opium War (1839-1842), which began China’s Century of Humiliation (1839-1949) at the hands of external powers. Indeed, curbing migration from Asia was one important driver for Australian federation – the Immigration Restriction Act 1901 was the first parliamentary drama. More formal engagement with China began in 1900, when Australia responded to Britain’s call for help in suppressing the Boxer Rebellion in Beijing and surrounding areas. Arriving late at the trouble spots, well after their loot-hungry allies had done their job, Australian troops were reputedly the best behaved of ‘the imperialist invaders’. Australian public sympathy for China emerged in 1937, stoked by newsreels of the Japanese bombing of densely populated Chinese cities. In response, Newcastle and Wollongong waterside workers refused to load coal and iron ore onto ships bound for Japan, and were dismissed for their pains. In solidarity, Chinese-Australian market gardeners drove in truckloads of fruits and vegetables to thank the dismissed workers. By 1942, with the fall of British Singapore, Australia was itself under threat from Japan. And, at the close of the Second World War, with Britain no longer in a strategic position to defend us, we turned our geopolitical gaze to the USA. So, in 1950, we followed not Britain’s recognition of the People’s Republic of China, but America’s fear of falling dominos. When the USA asked us to join in fighting the Chinese in Vietnam, Harold Holt declared, “All the way with LBJ.” Lyndon Baines Johnson came to thank us in 1966. University students lay in front of his car. “Run the bastards over!” roared Robert Askin the NSW Premier. Meanwhile, ASIO asked the Chairman of the Australian Wheat Board why he sold wheat to feed Chinese soldiers fighting with the Vietcong. He replied to the effect that China paid cash. Richard Nixon’s visit to China in February 1972 took the world by surprise. Australia put Labor in power. Gough Whitlam, who actually beat Nixon by visiting China in 1971 as Opposition Leader, officially recognised China, much to the annoyance of the USA. He also abolished the White Australia Policy the year after. Determined to know China better, the University of Sydney sent its second-ever female Professor, Marjorie Jacobs, to find a Chinese History lecturer. She bought me lunch in London; I came to teach at Sydney the following year. This is a short extract from a longer essay published in the program for Kryptonite, available at the theatre for $10. With a range of fascinating articles and rehearsal room photographs, the Kryptonite program is a magnificent way to extend and deepen your night at the theatre. 1 John Y. Wong, Deadly Dreams: Opium Imperialism and the Arrow War (1856-1860) in China (Cambridge University Press, 1998).